USA - $59 click here to order, April 19th (9pm PDT) - 29th (9pm PDT). Lowest price of the year. AncestryDNA may also go on sale at Amazon so I will keep an eye on that and update if it does. Please click here to check if I haven't updated this yet. DNA Day sale - 30% off through April 25th (Midnight PDT). US and Canada only. Click here to order. 23andMe Ancestry-only on Amazon only $69 + free shipping today. Click here to order. Ancestry + Health Reports is only $139 + free shipping today. Click here to order. DNA kit still reduced to $69 now through April 25th, order here. 20% off on April 25th. Click here to order when sale starts. **Disclosure** -- Ordering through links found on this blog will result in "The DNA Detectives" receiving a small commission from your sale, which helps to defray the costs of my extensive volunteer work and allows me to continue to dedicate a significant amount of time to these volunteer activities. A portion of these commissions also benefits The DNA Detectives Kits of Kindness donation program (details on program at link). Ordering through these links will not increase the price that you pay. Thank you for your support. It is the time for DNA test kit sales...and just in time for the holidays! These are fantastic prices - some of the best ever - and will ensure we all get many more new matches, including from international testers. DNA kit sales being offered in the United States, United Kingdom, Canada, Australia and in select European countries. They are good through the end of the weekend. 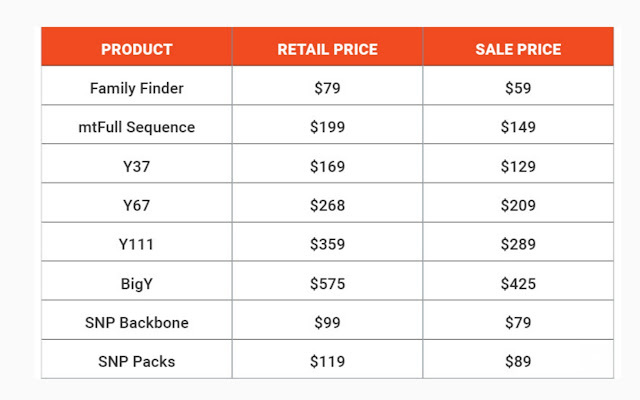 Click on the relevant links to check pricing in your area. If your current membership is expiring in the next 90 days, you may be able to gift yourself a new membership by turning off your renewal ("canceling" your account) and setting the gift membership to start the day after your current membership is scheduled to end. Are gift memberships available for the international versions of Ancestry — for example, Ancestry.co.uk? Amazon AncestryDNA kit - US - $54.99 >> Click here to order. AncestryDNA kits are reduced to $54.99 on Amazon - Cyber Monday only. (Prime = free shipping). Ends Nov 27th 11:59pm PST. AncestryDNA - UK - £49 >> Click here to order. Don't miss out- it's the lowest price of the year, sale until Nov 27th, 11:59pm! Ancestry DNA Kit only £49! AncestryDNA Kit only $79 CAD! Starting November 24th 7:00AM PST until November 28th 12:00 AM PST. Black Friday and Cyber Monday Sale: Don't miss out - it's our lowest price of the year. Ancestry DNA Kit only $79! 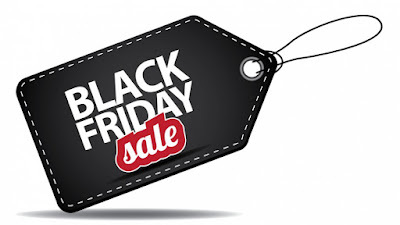 Black Friday to Cyber Monday Sale: Lowest Price $99 AUD! If you have Prime, then this will save you $10 on shipping costs. 23andMe International - £59, £129 - UK, $99 CAD, $219 CAD - Canada, $99 USD - Australia (Ancestry only) >> Click here to order (and to check your country's pricing for international, generally $20 - $30 off if on sale). 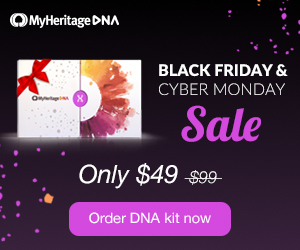 Black Friday to Cyber Monday DNA sale - $49! Starting November 21st through November 27th, DNA kits will be available for only $49 instead of $99. That's 50% off - the lowest price EVER on MyHeritage DNA! FREE expedited shipping on orders of 3+ kits (US only) and free standard shipping on 2+ kits. Don't forget that MyHeritage is still accepting free raw data uploads from other companies too - upload here. Family Finder is $49 until November 27 and then will be $59. Even better - shipping has been reduced to only $4.95! 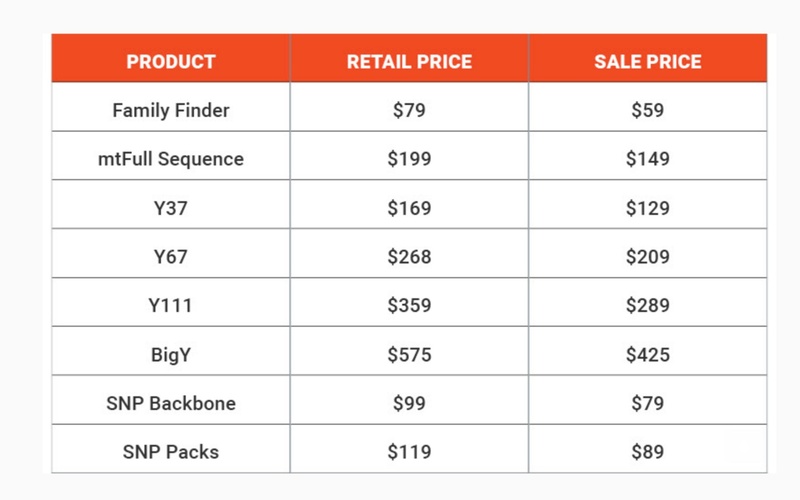 Y-DNA and mtDNA are on sale until the end of the year. Don't forget uploads are still free here ($19 for premium features). Living DNA - $89 >> Click here to order (and to check your country's pricing for international). Lowest price ever! This Black Friday, through to Cyber Monday, Living DNA are offering all their customers the chance to get a DNA test for a never-seen-before price of $89! Although not a DNA testing kit, this is very relevant to genetic genealogy research. Newspapers.com also has a Black Friday sale - $20 off a 6 month subscription. I use their service almost every day in my DNA research, so I highly recommend them. (You can also subscribe to Newspapers.com through an Ancestry.com membership - half off right now.) Offer ends Nov 26th. Click here to order. I was previously aware that there are some issues with the more distant matches on MyHeritage DNA, so I have been advising caution about using those in genealogical research, but was more confident about the close family matches. I uploaded both my parents' data and my aunt and uncle and all matched me and each other as expected. However, in the last couple of days, I have become aware of some pretty serious issues with matches in the category that includes half-sibling relationships (~25% shared). For several months, I have been working with a woman who was abandoned as a baby. 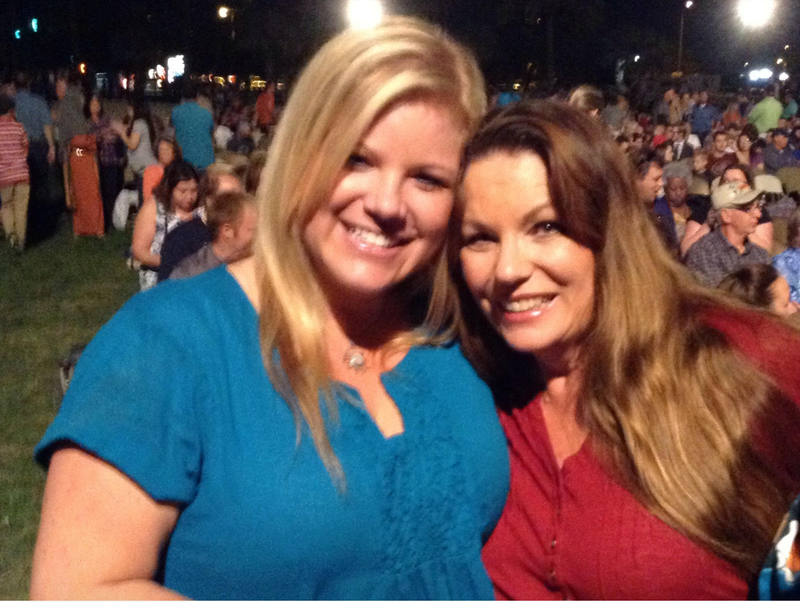 We had successfully zeroed in on her biological family through pedigree triangulation on AncestryDNA and were trying to determine which of two sisters was her biological mother. The daughter of one of the sisters had agreed to test at MyHeritage, with the expectation of a DNA share consistent with either first cousins or half-siblings. Her results came back with 17.9% (1,294.9 cM) DNA shared between them. This was unfortunate since it fell in a gray area where the ranges of shared DNA for the two possible relationships overlap, so it looked like we would have no definitive answer to the question of her parentage. 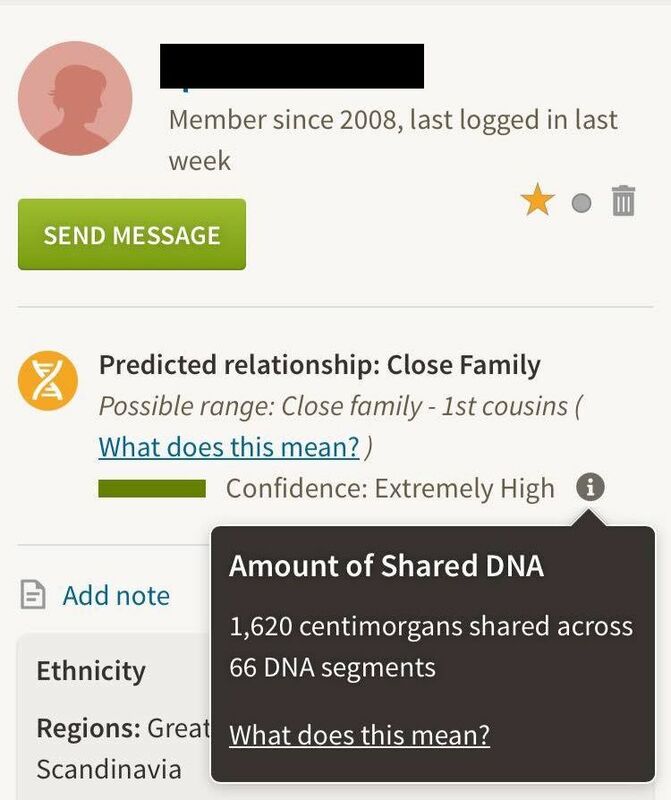 We then uploaded her data to Gedmatch and were shocked to see that they actually shared ~25% (1,758.9 cM) of their DNA - a clear half-sibling match. That is a 464 cM difference! This pushes the relationship solidly into the half-sibling relationship category without any ambiguity. We expect small differences between the different companies and/or third party comparisons, but in all the years I have been involved in genetic genealogy, I have never seen a comparison vary so drastically. In fact, they have been so consistent in the eight years we have been working with autosomal DNA matching, that it has given our community great confidence about the reliability of the matching algorithms that we work with at the three major DNA companies and Gedmatch. 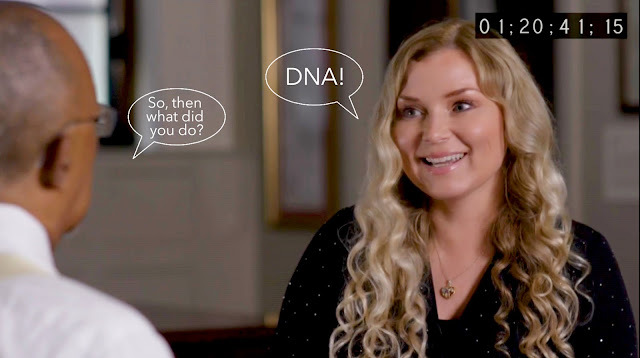 This was very concerning to me so I followed up on some potentially similar situations I had heard about in my DNA Detectives Facebook group and immediately found two more examples like the one above. As you can see, this set of half-sisters was reported to share 1,142 cM at MyHeritage, 1,620 cM at AncestryDNA and 1,699.4 cM at Gedmatch. 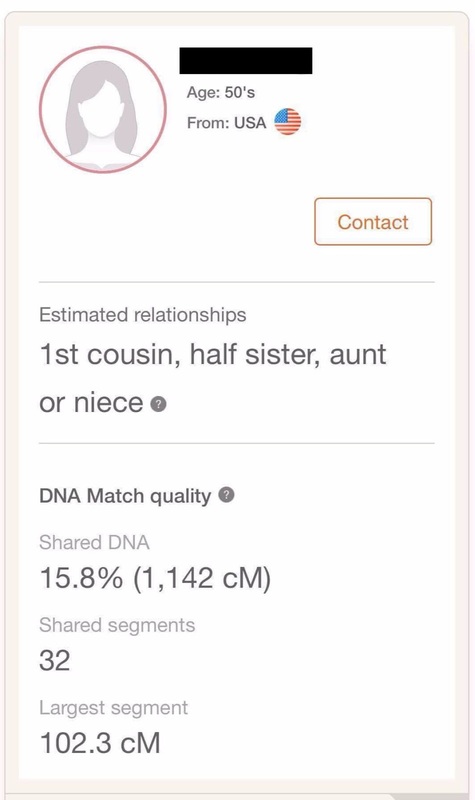 Again, this is highly problematic with a difference of 478 cM and 557 cM between MyHeritage's estimate and the other two services. Again, we see a large discrepancy between the comparison at MyHeritage versus the one at Gedmatch - 937 cM at the former versus 1,409.2 cM at the latter, for a difference of 472.2 cM. Also note, that the number of matching segments is doubled in the Gedmatch comparison as opposed to the MyHeritage one. I would really like to see the MyHeritage comparisons on a chromosome browser to determine exactly what is going on here. Hopefully, they will soon add that feature. Don't get me wrong, I welcome new companies that offer services to our community and am very supportive of their efforts, however accuracy is absolutely essential when using DNA to draw genealogical conclusions and determine the relationship between two people. 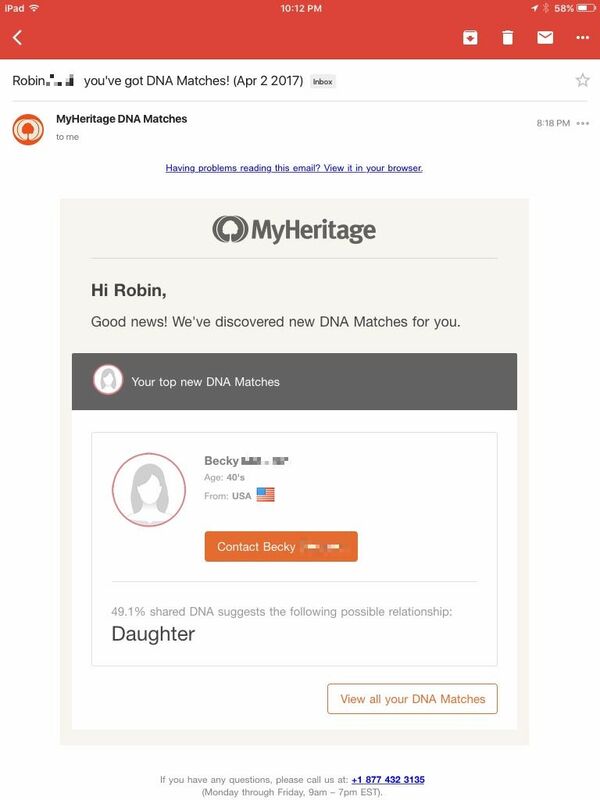 These very significant discrepancies definitely can and, perhaps, already have caused MyHeritage customers to reach inaccurate conclusions about their relationships to each other. This can be very damaging to the reputation of our industry and, especially, in relation to the work I do assisting people of unknown parentage to identify and connect with their biological families. If we cannot count on reliability in the reported amount of shared DNA, this undermines our efforts to convince newly-found family members that the proposed relationship is authentic. It is my hope that MyHeritage will move quickly to correct this very serious issue. In the meantime, I recommend always double checking your comparisons by uploading to Gedmatch and running the one-to-one comparison there. I was able to locate these examples very quickly, so I am confident there are many more out there. Please comment below if you have an example of your own.